Fr. Ortiz found the owner of P.O. 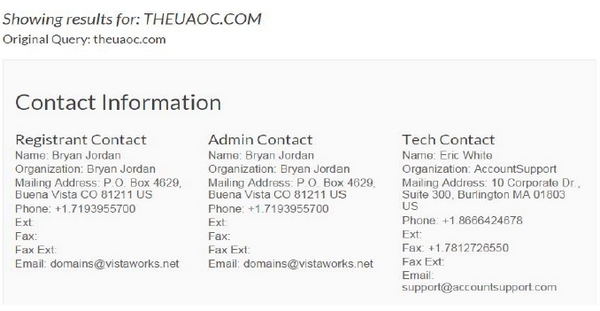 Box 5215 on a Colorado voters list website (not run by the State of Colorado) along with the rest of the address; it is none other than William Edward Moran! Decree Appointing Bishop Ambrose Moran as Successor for the Ukrainian Autocephalous Orthodox Church in the U.S.A. In the link below, you will find a decree appointing Bishop Ambrose Moran to be the successor of Metropolitan Hryhorij (Gregory), presiding consecrating bishop of Ambrose Moran in 1976, and Metropolitan Andrew for the Ukrainian Autocephalous Orthodox Church in the U.S.A. The decree was signed by four schismatic bishops, including Ambrose Moran, and dated December 15, 1983. The link below provides a copy of the document that Bishop Ambrose Moran himself provided to someone (I will not say to whom, but it was NOT to Fr. Joseph Pfeiffer). 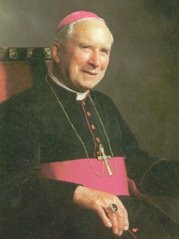 This document shows that Bishop Ambrose Moran was still a schismatic in 1983, seven years after his consecration by the schismatic Metropolitan Hryhorij (Gregory). Cardinal Josyf Slipyj died on September 7, 1984. If Cardinal Slipyj truly consecrated or re-consecrated Ambrose Moran in 1976, then why was Ambrose Moran under the wing of Metropolitan Hryhorij (Gregory) in 1983 while Cardinal Slipyj was still alive? You would think he would have been under the wing of Cardinal Slipyj (or someone else appointed by Rome), if Ambrose Moran remained Catholic from 1976 after his alleged consecration by Cardinal Slipyj to the Cardinal’s death in 1984. There has been much mystery surrounding Bishop Ambrose Moran, especially concerning his episcopal consecration. I present below two episcopal consecration documents and what I have learned about them. I hope this post will clear up some of this mystery for all concerned. 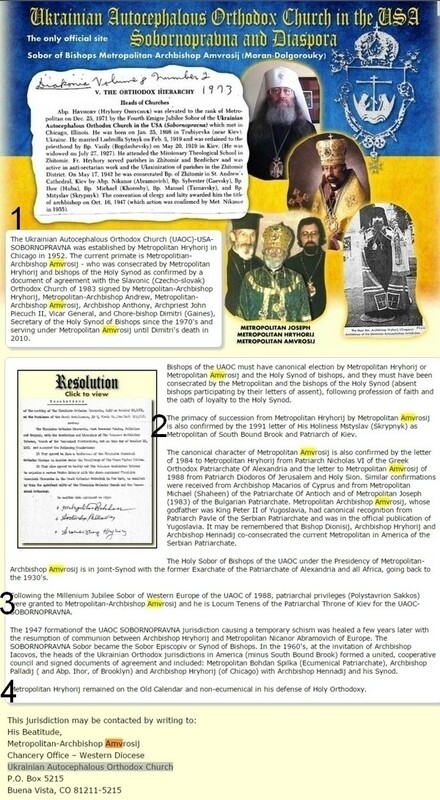 You will see that, according to this certificate, the presiding bishop was Metroplitan Hryhorij (Gregory in English) of the Ukrainian Autocephalous Orthodox Church in the United States – Sobronopravna. The ceremony took place at the Holy Protection Cathedral in the Chicago, Illinois in September 1976. I contacted the Holy Protection Cathedral to verify the authenticity of this certificate. On Friday October 23, 2015 I received confirmation from the Cathedral that this certificate was indeed authentic. Fr. Joseph Pfeiffer was made aware of this confirmation. He then verified it himself on Tuesday October 27, 2015 when he made a visit to the Cathedral. Document and absolutely false! I ran the document for verification to close associates of Cardinal Slipyy of that period. And those of Mons. Ivan Muzycka and Mons. Ivan Dacko was negative! In archives took Basilica Santa Sofia is not no copy of the document dubbed. Signed by Cardinal Slipyi the document submitted does not match with the real signature he used His Beatitude! The same signature and letterhead. Stamp also false! Signature of bishop Boretsky not match the signature he used! Two witnesses who were secretaries of cardinelw Slipyi not remember a fact of Episcopal Moran Dolgoroukyi. It’s all. So many good things. Coordinatore Nazionale per gli ucraini cattolici di rito bizantino in Italia.